Categories: Infertility to Adoption, About Adoption. Author and naturopathic doctor Fiona McCulloch dives deep into the science underlying the mysteries of PCOS, offering the newest research and discoveries on the disorder and a detailed array of treatment options. Polycystic ovary syndrome (PCOS) is the most common hormonal condition in women. It afflicts ten to fifteen percent of women worldwide, causing various symptoms, including hair loss, acne, hirsutism, irregular menstrual cycles, weight gain, and infertility. 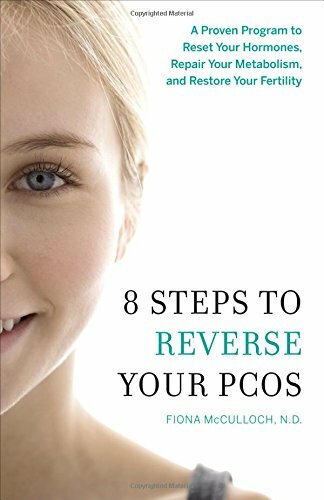 8 Steps to Reverse your PCOS gives you the knowledge to take charge of your health. Dr. McCulloch introduces the key health factors that must be addressed to reverse PCOS. Through quizzes, symptom checklists, and lab tests, she’ll guide you in identifying which of the factors are present and what you can do to treat them. You’ll have a clear path to health with the help of this unique, step-by-step natural medicine system to heal your PCOS. Having worked with thousands of people seeking better health over the past fifteen years of her practice, Dr. McCulloch is committed to health education and advocacy, enabling her patients with the most current information on health topics and natural therapies with a warm, empathetic approach.